Clojure is yet another computer programming language with an odd name and many followers. A lot has happened to Clojure (pronounced like “closure”) since the first edition of this book was published in 2009. Clojure has been updated several times and gained some enhancements, a lot of new followers, and many libraries. Programming Clojure, 2nd Edition has been rewritten and reorganized to cover these new features, concepts and developments. “Clojure is a powerful, general-purpose programming language,” the authors note. But this is not a book for raw beginners, even though its first chapter does start at the traditional “Hello, world” level. It is intended for “experienced programmers looking for power and elegance.” You should have some experience with C#, Java, Python, or Ruby before tackling Clojure. The 268-page book is well-organized and well written, and it offers numerous practical code examples. 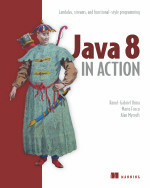 The book also has been reviewed for technical accuracy by a panel of Clojure practitioners. Clojure code, incidentally, tends to be short (but you do need an editor that can “at least indent code correctly and can match parentheses”). In one of the book’s comparison examples, the function produced by a 14-line sample of Java code is duplicated in Clojure with just two lines. So development in Clojure potentially can be fast.